The American Dental Association estimates that 200 000 of the 5 million teeth knocked out by sports trauma each year in the USA could have been saved by the use of an effective mouthguard (Video). Furthermore, it has been suggested that the cost of replacing just one knocked out tooth is about 10 times the cost of buying a custom-fitted mouth guard. A mouth guard is a device worn in the mouth while playing contact sports (or any sports where the possibility of collisions might occur) that helps prevent injuring to the teeth, lips, cheeks, tongue and jaw. 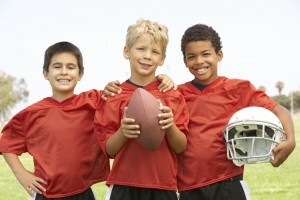 It’s use is particularly encouraged in children with orthodontic appliances playing any sport. A mouth guard should be used in addition to a protective helmet. 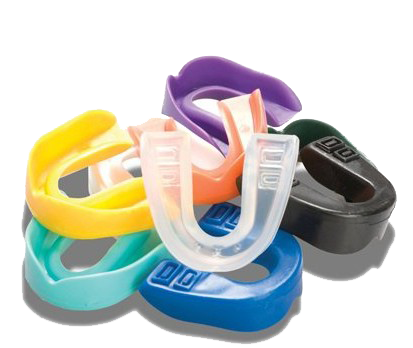 There are three varieties of mouth guard available, increasing in price according to their specialization. Stock/ready-made guards can usually be found in the sporting section of most stores and have a limited range of sizes. Because of their “one size fits all” approach, they usually do not fit particularly well and are, as a result, often uncomfortable to wear. They may also interfere with breathing and speaking clearly. The next step up is the mouth-formed or “boil-and-bite” guard, also found quite commonly in a sporting goods store. These are heated in water and then bitten into by the person wearing them to mould around their teeth. While the fit may be better, it is difficult to control the thickness of the guard material due to the bite strength. 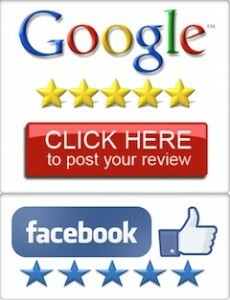 As a result, one might have a false sense of security with a device that does not, in fact, provide good protection. The final, and best, mouth guard is that which is molded by a dental professional. These custom-made appliances, while more expensive than the other two, provide superior protection, and do not interfere with breathing or speaking. People with orthodontic appliances should wear mouth guards because the protruding parts can potentially cause more trauma with a facial collision. Finding a good fit, however, is more difficult, and this is complicated by the fact that the jaw is being re-shaped by orthodontia, so their fit may alter over time. As with everything, looking after one’s mouth guard will prolong its useful life. The device should be rinsed in cold water after every use, occasionally washed with a mild soap, and stored in a container where it is unlikely to be damaged. It is recommended that a new guard be purchased at least once a season.